It is a normal behavior for dogs to perform exercises such as burying toys or bones as well as making its resting spot in the soil or even in your flower beds. In order to keep away your dog from digging holes through your mulch and into the soil within your yard, you can simply use an inexpensive home made grate because dogs do not like the feel of the grate whenever they step on them. Through this piece, you would be able to know some of the tips on how to keep your dog from digging holes in mulch and also within the surrounding areas of your yard. 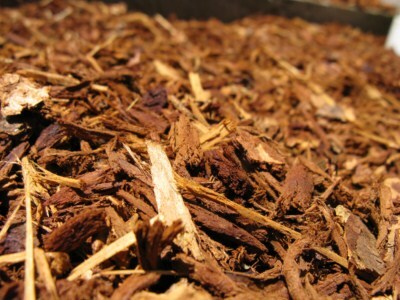 The first thing that you need to do is to measure the mulched areas that your dog likes to dig. Then, take a chicken wire and cut it into sections with shears. Make sure that you make long straight sections especially for large unplanted areas. You also need to cut down smaller sections big enough to fit around your existing plants. You should completely cover certain areas that you do not want your dog to dig it up. You can also cut and lay sections of the chicken wire with at least 2 to 3 inches length underneath the garden soil. You should always supervised your dog’s activities and avoid leaving it alone in the yard especially near your flower bed. Next step is to lay down the sections of your chicken wire on the area that you have measured earlier and also fit the smaller pieces of the wire around your large area plantings. Then, you should cover the chicken wire grate by using at least 2 to 3 inches of mulch. If your dog returns to its favorite spot and tries to dig a hole. Once your dog quickly reaches the grate, you will definitely feel dissuaded from proceeding with the next issues. Another method that you can use is by placing large rocks in certain areas between your plants and also at the favorite spot where your dog like to do its digging activities. Your aim is to eliminate any available surface within your garden where your dog likes to dig up holes. Take some bricks and pile them into the hole and start covering the hole using dirt. This will discourage your dog from digging again in future especially near your flower bed. Try to create an uncomfortable flower bed or its surrounding areas by placing a 2-inch layer of gravel throughout the garden. Gravel is another solution that you can use to replace mulch and it can also reduce weeds, plus also keeping your temperatures within the soil lower similar to what regular pine bark mulch can do to your soil. You can also install a low-lying sectional fence within the surrounding of your flower bed area in order to discourage your dog from entering the area and digging the soils. Another alternative is for you to save clippings of rosebushes, holly or other kinds of thorny plants and sprinkle them on the open area of your flower bed. Whenever you use the clippings from rosebushes, holly and thorny plants, you must make sure that you wear protective shoes when you do any activities in your garden. You can also fill water into an empty 2-liter plastic soda bottles. Make sure you take off the labels. Then, place the bottles at suitable areas throughout your garden. You must lay them down sideways in order to get good results. Install sprinklers at your garden. The system could stop your dog from digging holes in your yard. Whenever your dog starts to enter your lawn or garden area, you can turn on the sprinklers. If you have extra budget, you can also install motion detected sprinklers that can release the water in full pressure every time your dog enter the garden. One more method that you can apply is to spray ground pepper powder or Cayenne pepper in your garden surrounding area or in your mulch in order to deter your dog from entering the garden or flower beds. Always remember that the technique of using grate to keep away dogs from digging holes in mulch can also work as a deterrent to cats from using your garden as their litter box. Another thing that you can do to stop your dog from digging in mulch is by taking your dog for a walk or running exercise or even playing games with them. Certain toys can entertain your dogs and keep them occupied. Train your dog by saying ‘No’ in a firm and commanding manner when your dog starts to eat the mulch. Then, praise the dog every time it follows your command. This entry was posted in Home Improvement on November 15, 2011 by Mike.